Want to blow $10,000—or $1 million—on the election? This flowchart will show you how. If you have a ton of cash and a political agenda, it’s easier than ever to make powerful friends and influence people. 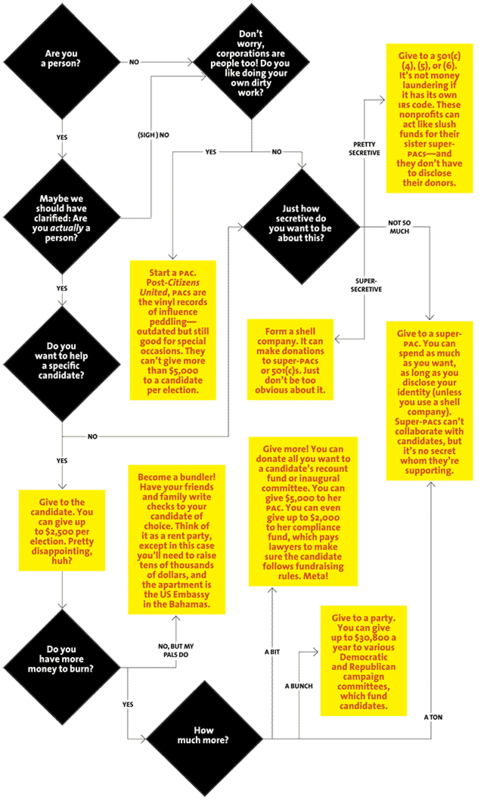 Here’s a handy how-to guide to the complex, cash-drenched world of federal campaign finance.